* Please note: 1 Roll contains six faces. Pop Art for your walls! The iconic SuperStar! face was first introduced in the 1960s by Ms. Phyllis Morris. 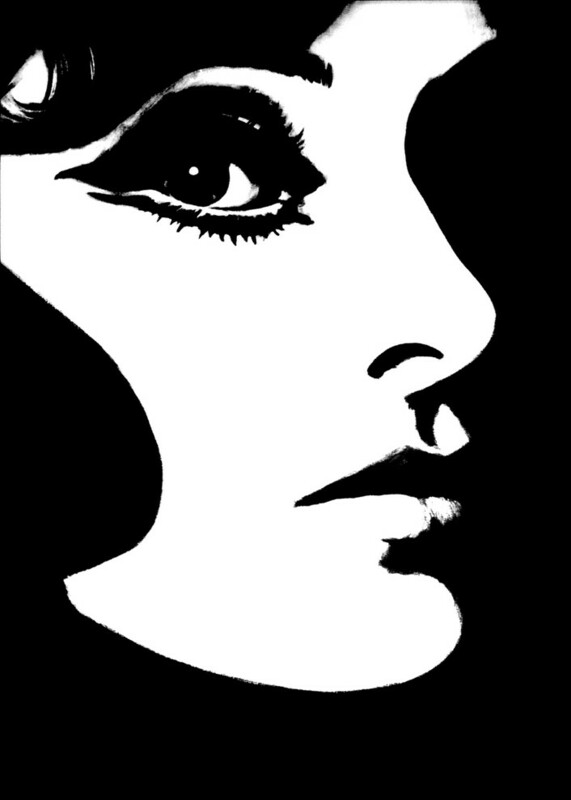 Over the decades this enigmatic image has created a dramatically bold statement wherever it is used. Black & White is offered on heavyweight matte vinyl; Black & Gold colorway is offered on matte gold paper; and White & Pearlescent is offered on Pearlescent Mylar. Trimmed roll contains six faces; each face measures 29" W x 35" H. Printed in the USA. W 29" / H 210"
Sold by Phyllis Morris- Free Shipping!